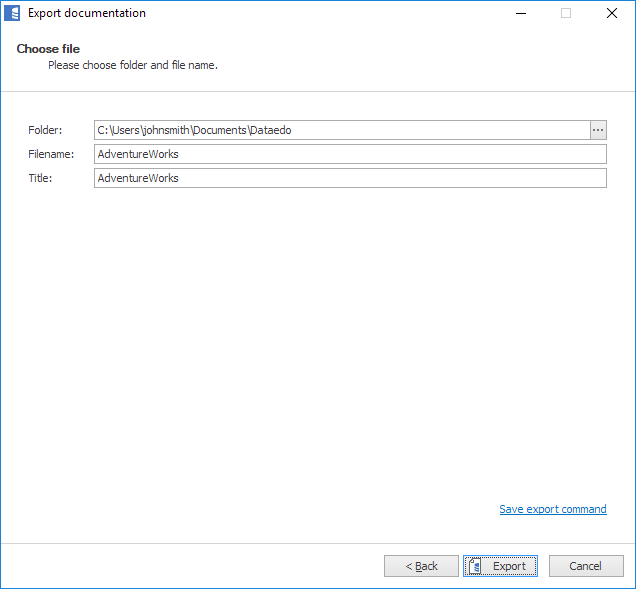 Dataedo enables exporting your documentation to a PDF document. 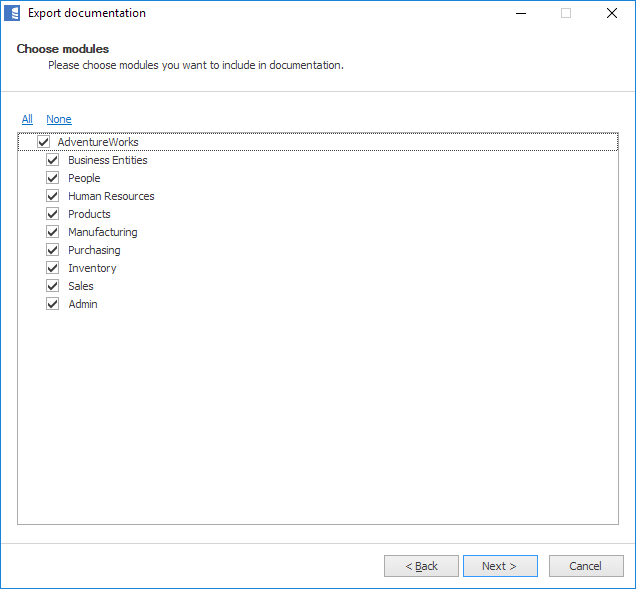 To export the documentation select chosen documentation in the navigation tree and click Export documentation button in the ribbon. 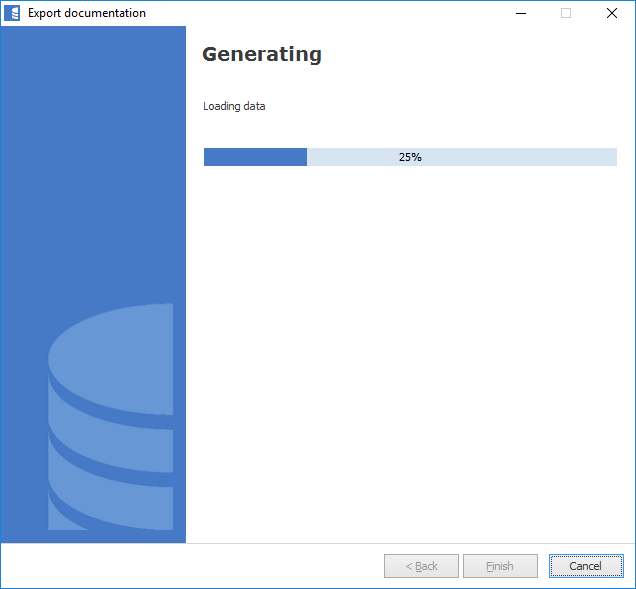 It opens Export documentation wizard. The first step is to choose a format. 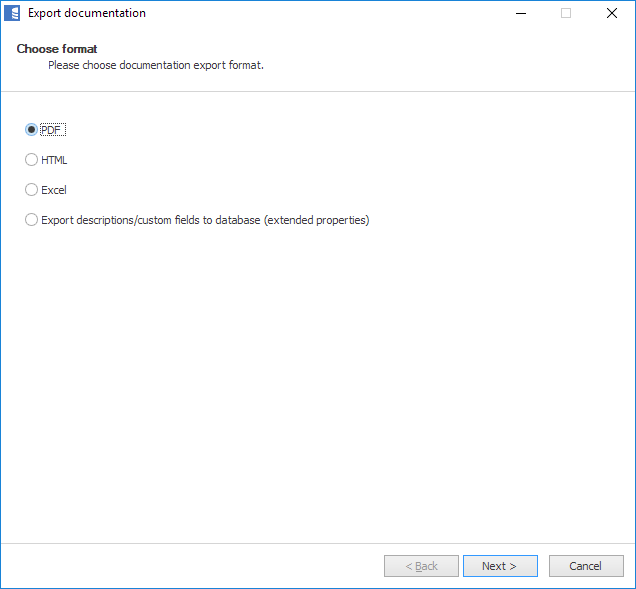 Choose 'PDF' and click Next. 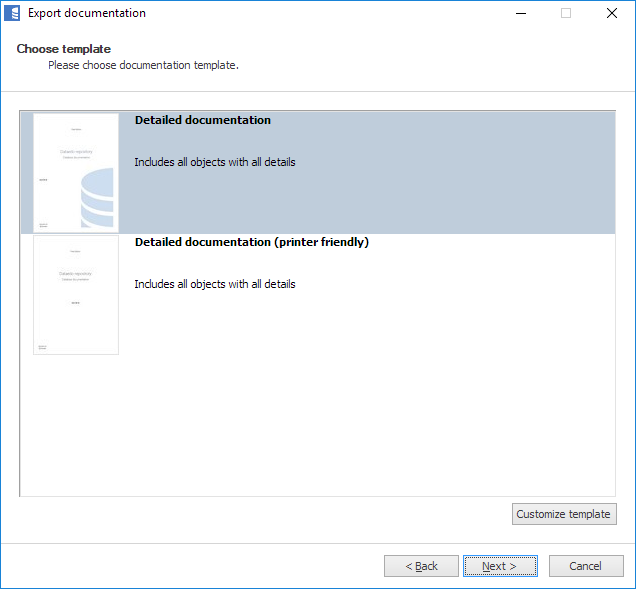 Then select a document template. 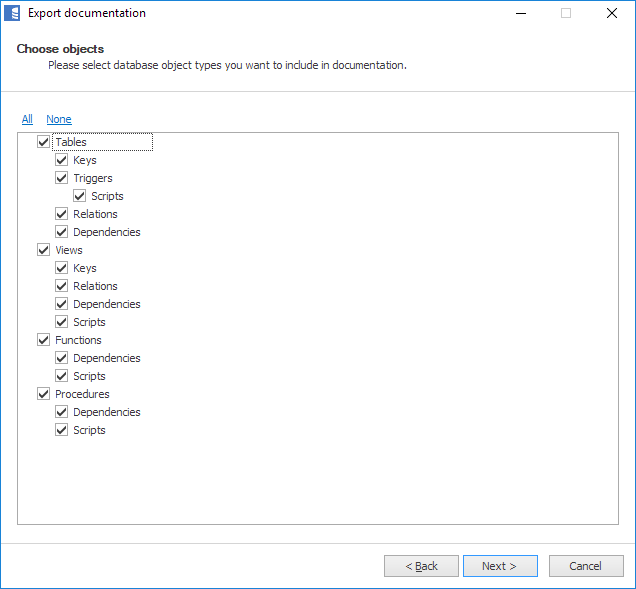 Detailed documentation is a default. There is a printer friendly version of it with no colors and less ink. When chosen, click Next. When ready you will be asked if you want to open a document.